Niccolo Machiavelli, an Italian, wrote a book called The Prince. It is dedicated very ingratiatingly to Lorenzo Di Piero De Medici. Machiavelli outlines, very confidently, how a ruler should behave in his or her role over their people. He argues that the ruler needs to act with the end goal in view while using any means necessary to achieve that goal. Keeping power is Machiavelli’s main goal imputed to a Prince. This is no Utopia, but is Machiavelli’s observations and recommendations for the real world filled with real human vices. The opposite side of that coin is ruling by always maintaining certain principles, with the ruler as accountable to the law as the ruled and with the main goal being the happiness of the people and not the power of the Prince. It is a never ending debate in today’s society as well (not to mention in every society before Machiavelli; he wasn’t completely original). Is it okay to suspend the law and decency for the Greater Good? In some circumstances or never? Be careful, this is tougher to decide than it sounds. Read Machiavelli before you allow one-liner summaries to influence you on him. Chapter 1: Explains the premise that there are only two types of Government: republics and princedoms. Only one paragraph long, debate the premise. Chapter 9: Explains how a Prince should behave if he takes over a republic. Debate whether power should rest on the people or the ruling class. Chapter 10: explains the best way to defend a state from outside attack. Debate whether a prince should defend the entire country or only the cities and strongholds. Chapter 16: A prince can be either miserly or liberal (economically speaking) and which he is depends on circumstances. Debate the statement that a Prince should be liberal with other people’s property. Chapter 18: A prince should keep his promises only when it is convenient. Debate whether this is so. Chapter 23: Only a very few people should be allowed to speak freely with criticism of the prince or with advice to the Prince. Debate whether this rule applies in a republic as well as in a Princedom. You can print out the chapter guide and debate questions for The Prince. False dilemma: Where only two possible choices are admitted when in fact there are more. Kids can prepare for their debate by making notecards with their main arguments on them. A moderator should ask a question and then each side gets to reply and respond to the other side. 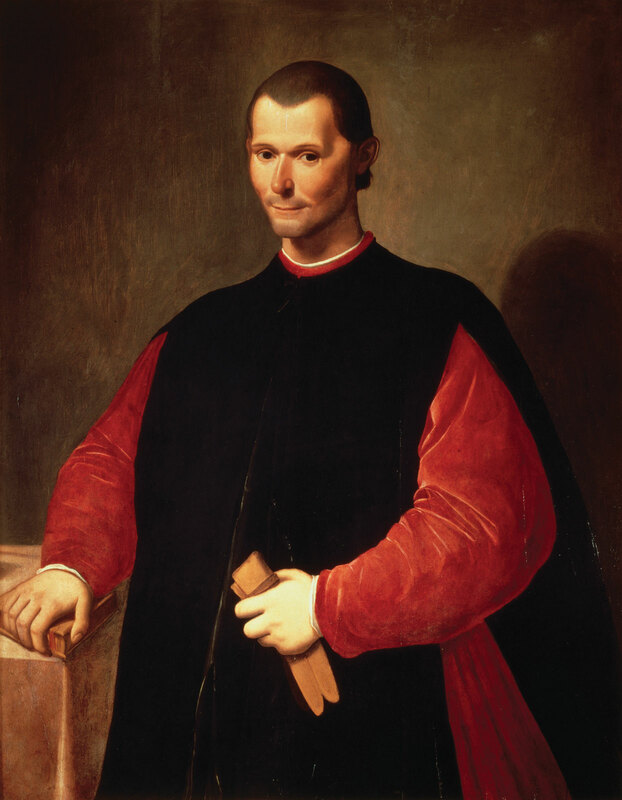 Machiavelli lived in Florence during the Italian Renaissance. Learn more about the Renaissance and Lorenzo de Medici. Utopia, written by Sir Thomas More, was a fanciful perfect society and also an easy read. Learn more about logical fallacies. There are many more than written above. Make up your own list of rules a good leader should follow. You have to decide first what the goal of a “good” leader is. Discuss some leaders from history: George Washington, King George III, the current President, Hitler, and so on. How do they stack up against Machiavelli’s perfect Prince? Does it matter which type of government they rule over; a princedom or republic? This discussion is from Unit 2-19 of the Layers of Learning Curriculum.